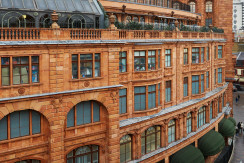 DESCRIPTION: Located opposite of Harrods, this building features a premier collection of luxury 1 and 2 bedroom apartments. 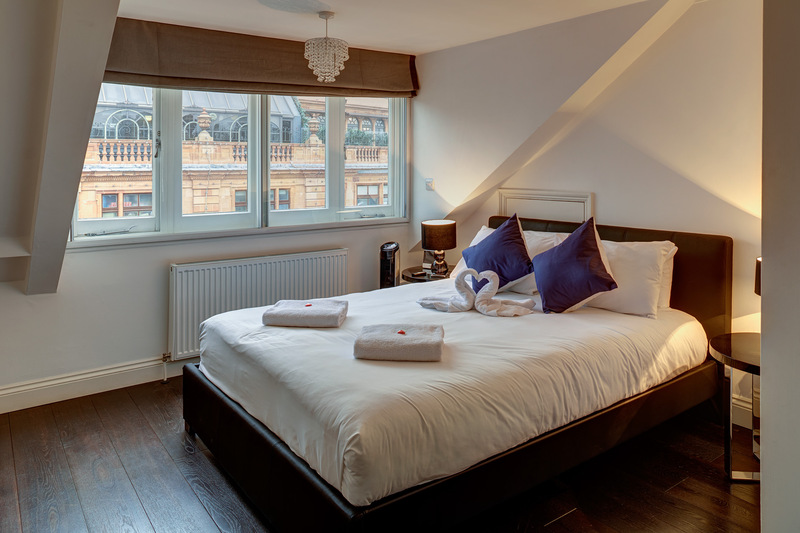 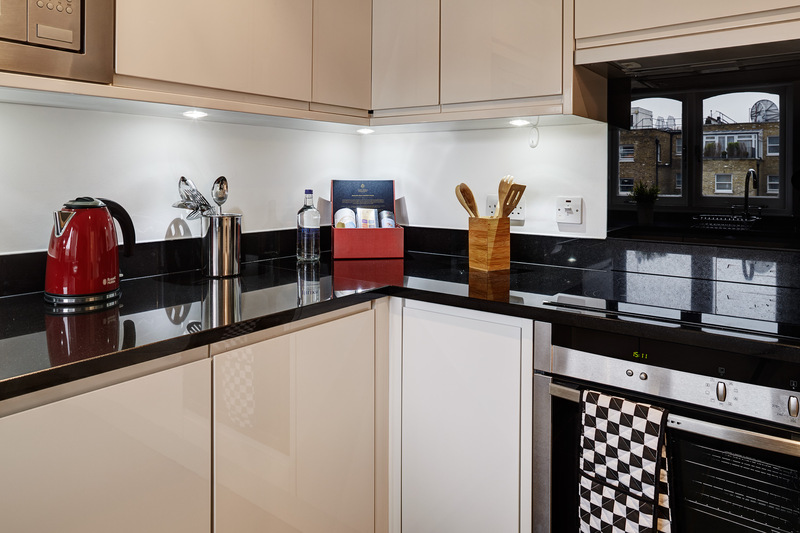 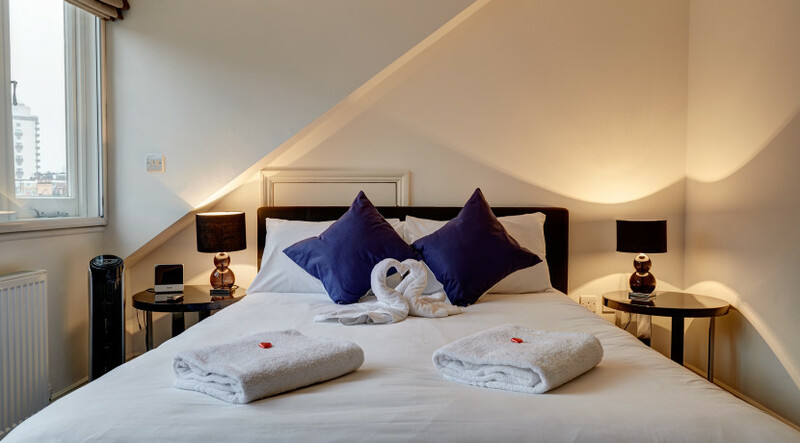 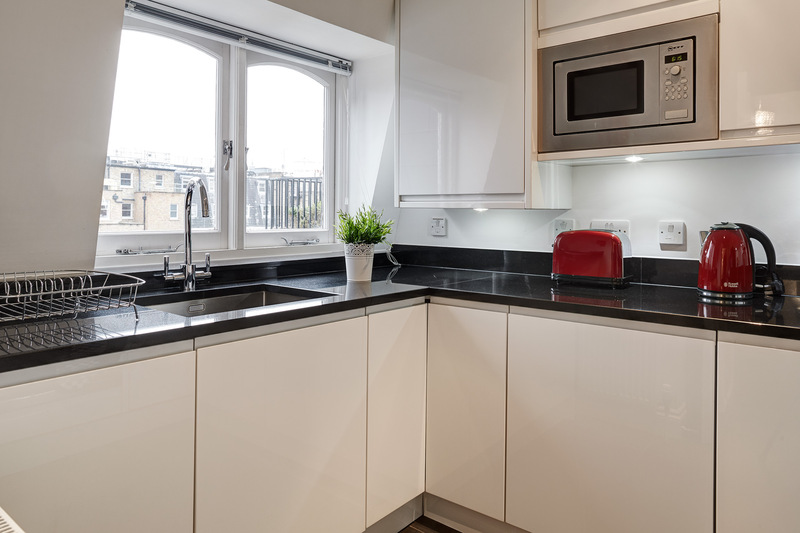 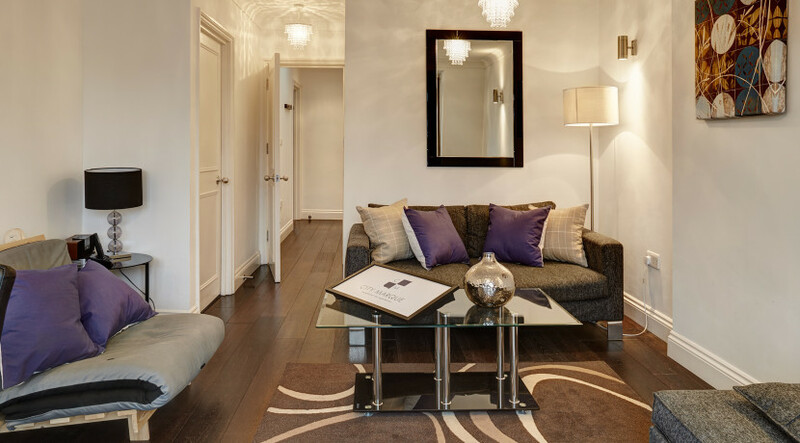 The beautifully refurbished apartments offer bespoke accommodation in the heart of the prestigious Royal Borough of Kensington & Chelsea. 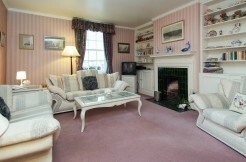 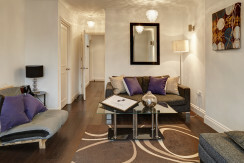 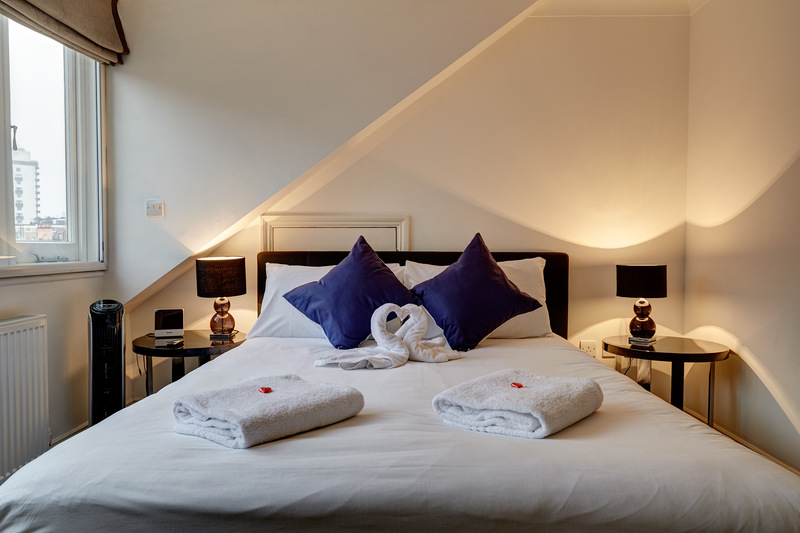 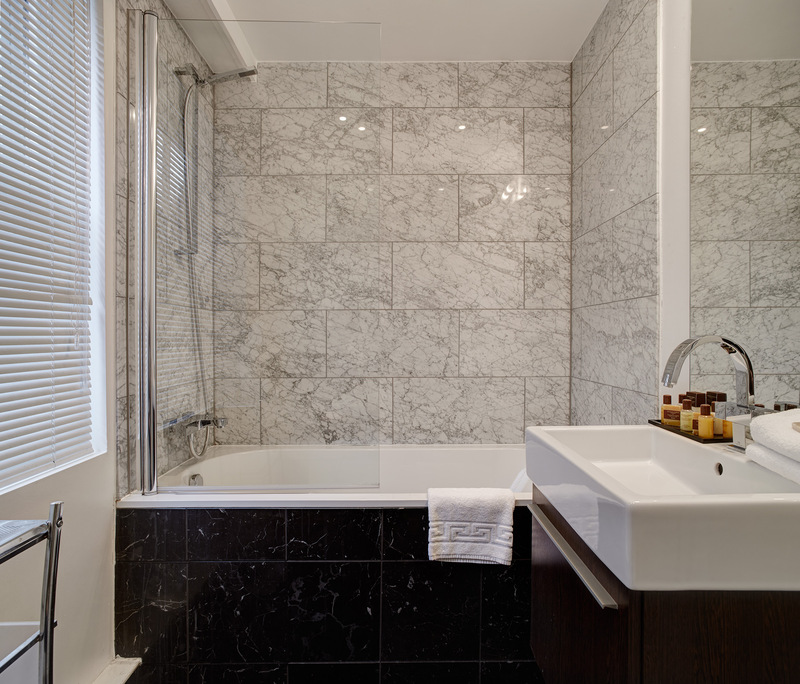 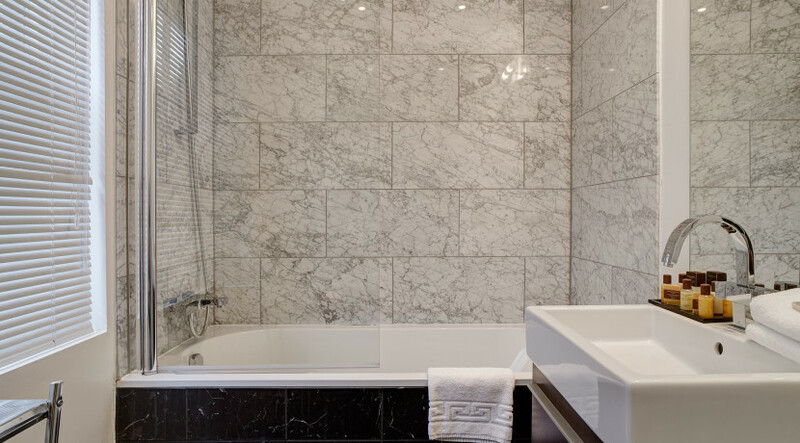 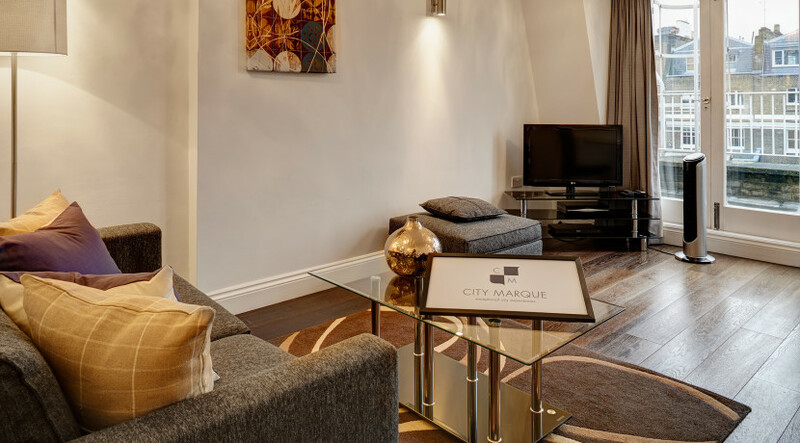 Positioned near Hyde Park, guests can easily access London’s financial and business districts. 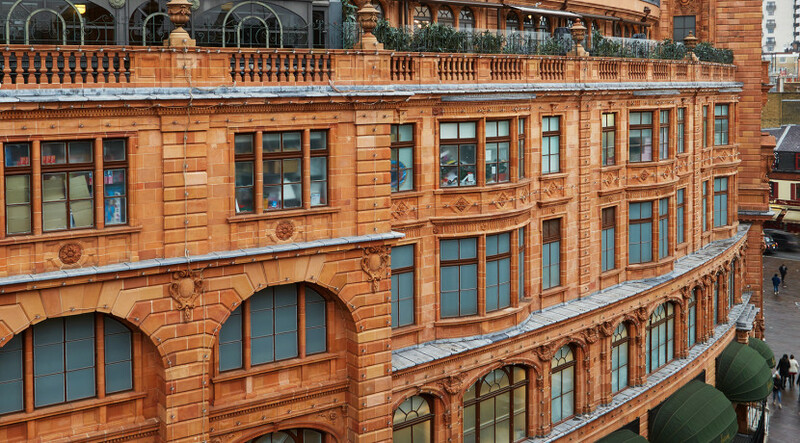 The city’s West End theatres are a short Tube or taxi ride away. 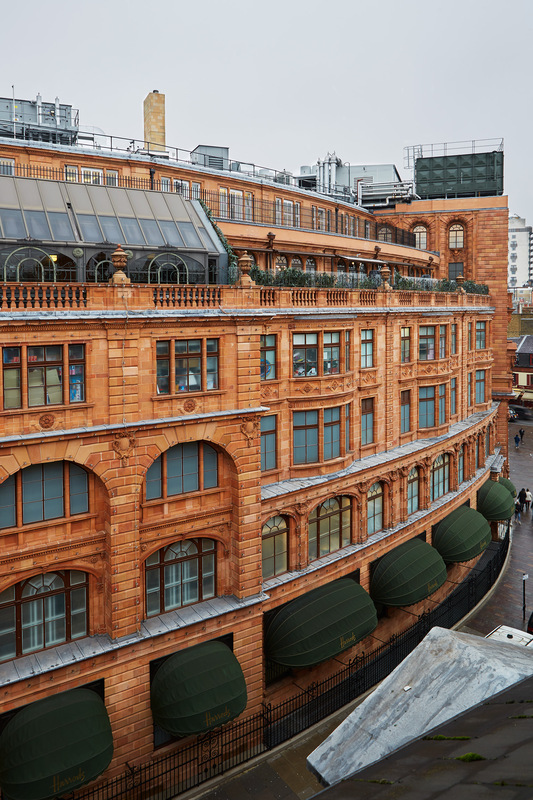 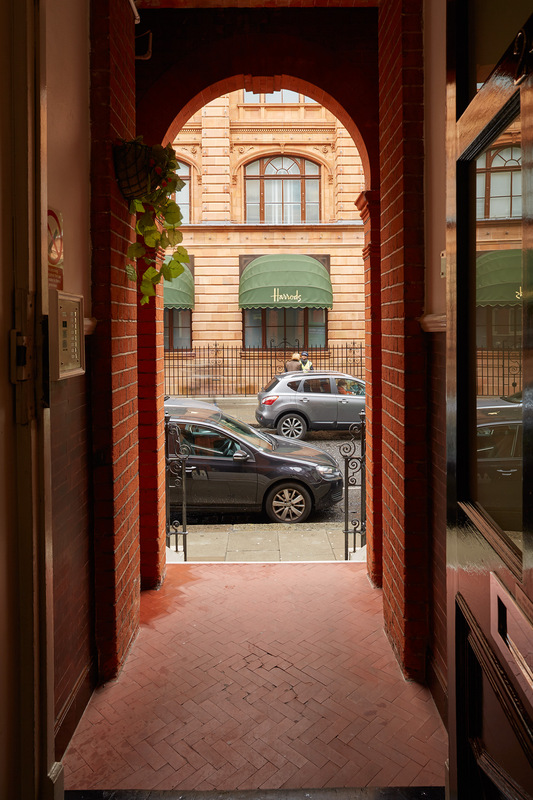 Nearby Knightsbridge Underground Station provides convenient access for both corporate and leisure stays. The one bedroom deluxe apartment features sleek wood flooring throughout. 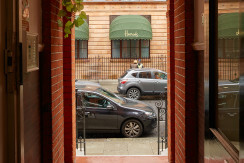 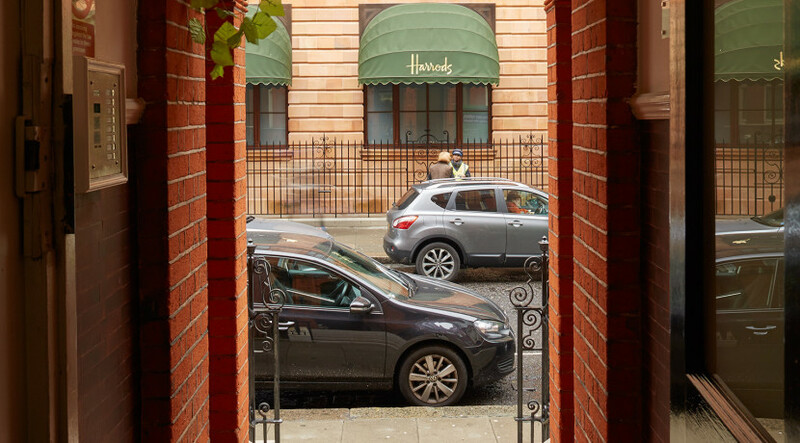 The large period windows offer plenty of natural light and bustling street views of Hans Road, which is just off Brompton Road; together they represent two of the most prestigious streets in London. 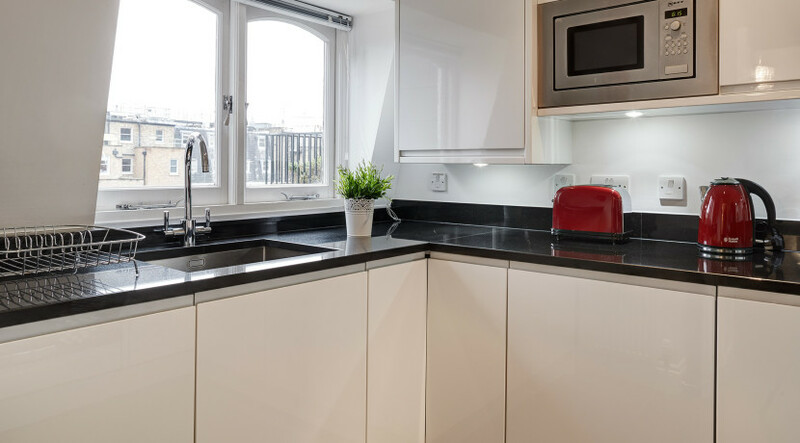 The modern kitchen provides all the necessary amenities, while the richly decorated living and dining room offer the perfect space to unwind. 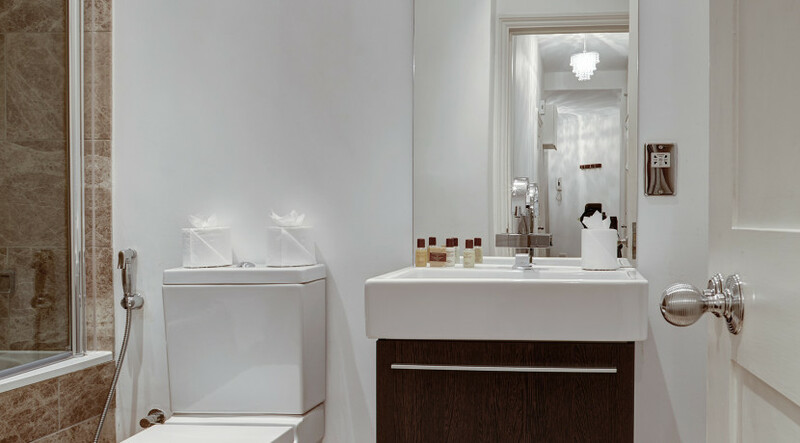 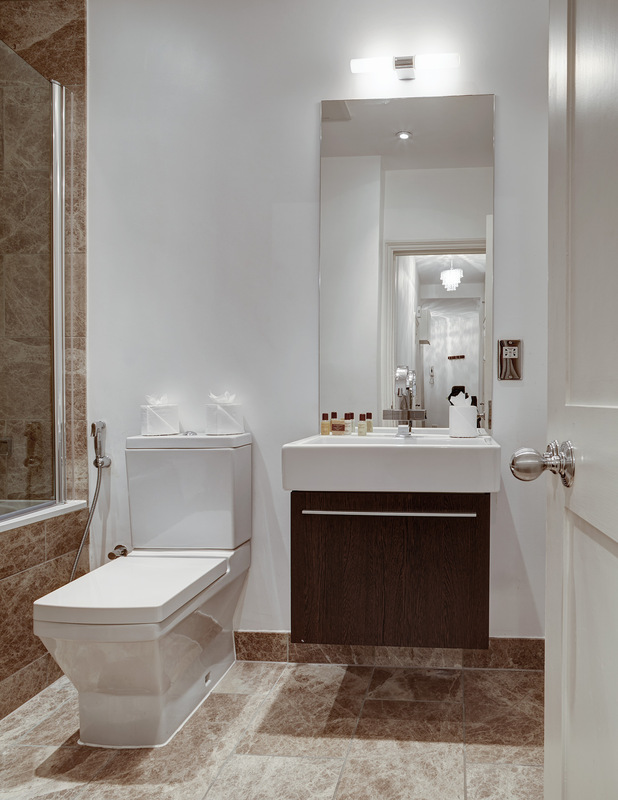 High-grade materials like travertine and Japanese style fixtures give the bathroom added luxury, evoking the feeling of being in a private spa. 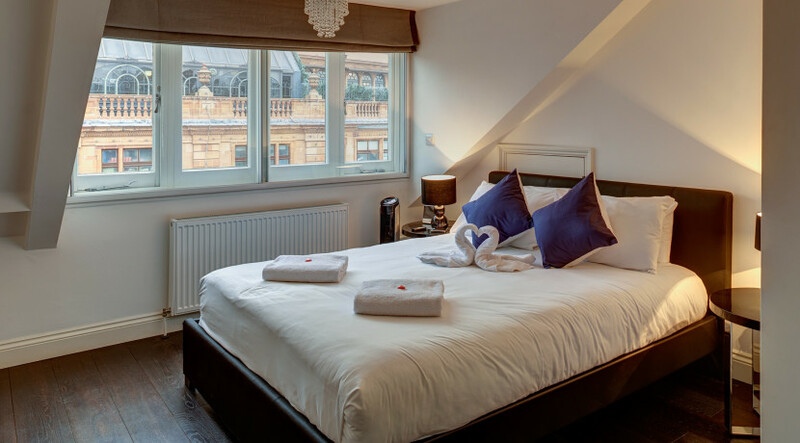 The bedroom is tastefully decorated, offering a tranquil and relaxing place for guests to retreat after a long day of sightseeing or business events. The property accommodates up to three guests with extra space for one guest on the fold out bed. 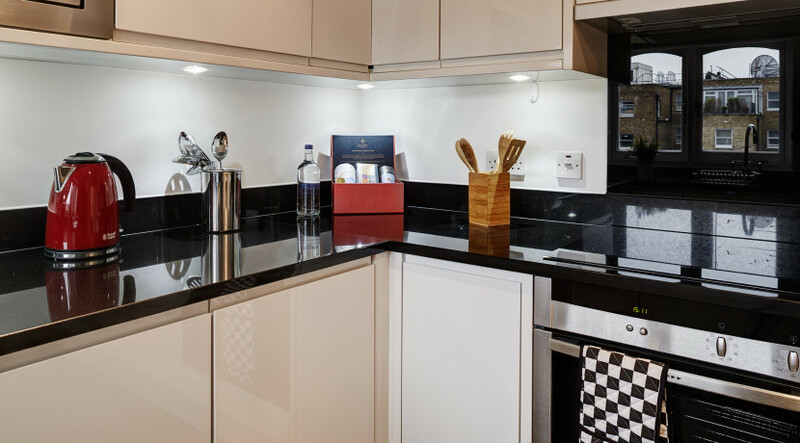 There is service and maintenance staff on site daily, and local staff members are available 24/7 should you need help or assistance with anything during your stay. Booking procedure: 30% rental deposit taken at time of booking, balance due 14 days prior to arrival. $300 refundable security deposit also requested 14 days prior to arrival. 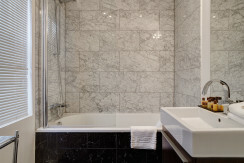 Arrival/Check In: Check in time is 3:00 p.m., check out is 11:00 a.m. 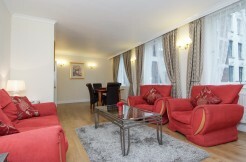 Cancellation policy: Rental deposit can be used as credit for future stay. 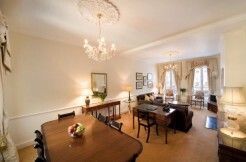 If within 15 days of commencement of stay, no refund can be made. 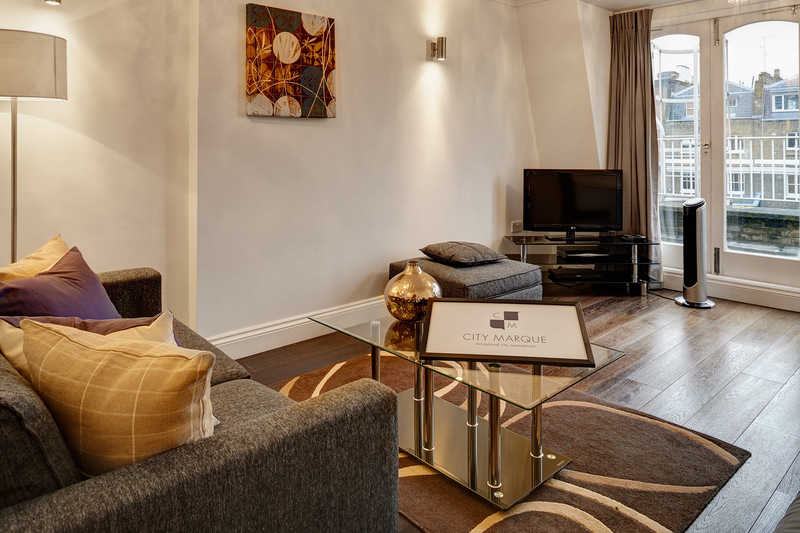 Clients are strongly recommended to ensure that they have suitable travel insurance arranged at the time of booking. 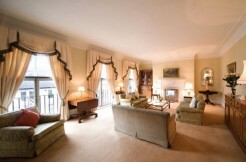 PLEASE INQUIRE ABOUT LAST MINUTE DISCOUNTS OF +30%!